How to make a professional Used Car Bill Of Sale? Download this Used Car Bill Of Sale Sales template now! Great sales efforts can make a business! However, the opposite is also true. Therefore, it's important to take your sales serious right from the start. Certainly, have a look at this Used Car Bill Of Sale. This sales template will capture your audience's attention. Using this Used Car Bill Of Sale template guarantees that you will save time, cost and efforts and enables you to grow the business faster! After downloading and filling in the blanks, you can easily customize e.g. 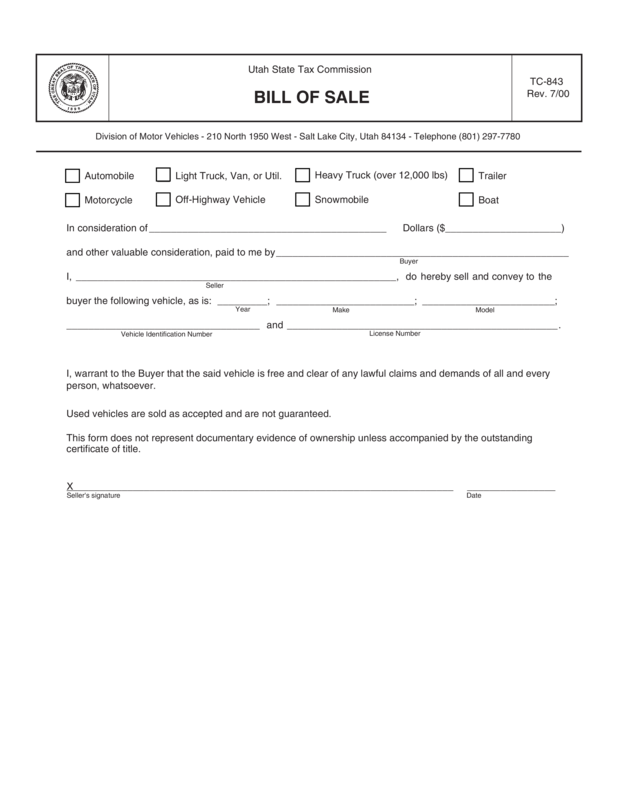 visuals, typography, details, and appearance of your Used Car Bill Of Sale. Download this Used Car Bill Of Sale template now! Heavy Truck (over 12,000 lbs) Trailer Motorcycle Off-Highway Vehicle Snowmobile Boat In consideration of Dollars ( ) and other valuable consideration, paid to me by Buyer I, , do hereby sell and convey to the Seller buyer the following vehicle, as is: Year Make Model and ..